This was a recipe I had tried a few months after being diagnosed. Since then I have not stopped making these cinnamon rolls. The credit goes to Lauren at laurenslatest.com, for coming up with such an easy and delicious recipe. She has a note that the recipe only works with Pamela’s flour mix, however I did try it with Dr Schar and they still came out great! I did not cover them with a cream frosting like her recipe but opted for a simple glaze. To make the dough, stir yeast into warm milk with a pinch of sugar and set aside to proof. In a large bowl, stir flour, sugar, baking powder, baking soda and salt together until combined. Rub the butter into dry ingredients until it starts to look like coarse breadcrumbs. Pour in warm milk mixture and stir until dough comes together. Pour dough out onto floured work surface and roll out the dough into a rectangle. Spread melted butter over the dough and sprinkle with brown sugar and cinnamon. Roll up very gently as pastry is delicate. Cut off the uneven ends. Now cut the roll with a sharp knife into 2 inch rolls. Place the rolls horizontally on a lined baking sheet and cover with clean kitchen towel. Preheat the oven to 180C. Rolls will rise slightly whilst the oven heats up. Remove the towel and bake them for about 20 minutes or until rolls have grown and the tops have browned. Prepare the frosting by mixing the icing sugar, butter and vanilla together. Start adding the milk, little by little, stirring until you get a thick glaze. 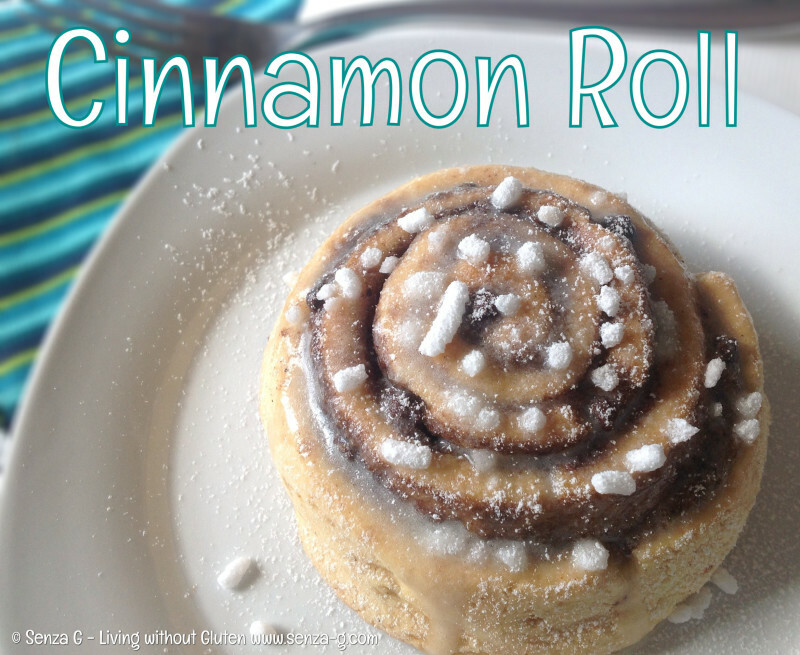 Drizzle over your cinnamon rolls. Dust with sprinkles if desired. The glaze will harden and form a crust.